If you are looking for amazing Steamboat Ski Area views, look no further. 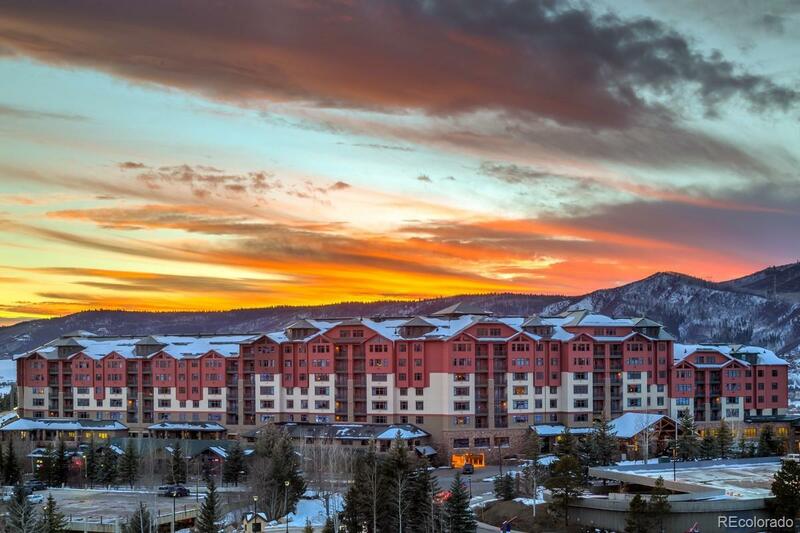 This sixth floor Mogul one bedroom, one bath at the luxury Steamboat Grand Resort Hotel offers all the conveniences and amenities of a world class resort, along with the comfort of a condo that feels like home with unsurpassed ski area views. 1/8 fractional deeded ownership gives you 6-7 weeks per year to use, rent or trade for maximum flexibility. Enjoy a slopeside owners club where ski's, boots and poles are stored. Other amenities include: year round outdoor pool with poolside lunch service, hot tubs, beautiful courtyard, fitness center, steam room, sauna, spa, valet, on-site restaurants, room service and owner's club. Your Steamboat Grand vacation getaway is sure to please with its location central to everything at the ski area- the perfect place to launch epic powder days, amazing hiking, biking, dining and shopping. The HOA takes care of everything so you can just enjoy! Call today for all the details.